Quality Middleweight Bonded Nylon Thread in size #69 Tex-70 and available in colors white and black. Sold in spools. All of our Bonded Nylon Sewing Thread is designed for industrial use and is available in bulk and competitive pricing. Bonded Nylon Thread was introduced in the 1930's. After all these years it's still one of the most widely used synthetic threads in the market place. Bonded Nylon Thread's high strength-to-size ratio, abrasion resistance, sewing ease, and lower overall cost all attribute to its continued success in the industry. 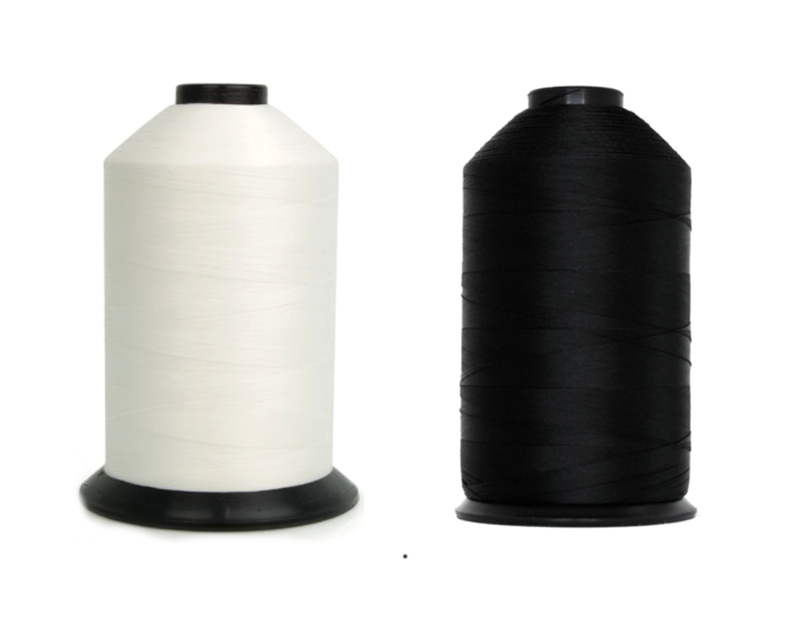 Bonded Nylon sewing threads can be used with most bleaches, organic solvents, most alkalies and mineral acids. Bonded Nylon Thread stands up to heat, but is not fire retardant. It yellows at 300˚F and melts at 500˚F. Nylon has excellent resistance to mildew, aging, but will deteriorate with prolonged exposure to sunlight (UV). When sewing outdoor items that will be exposed to the sun polyester thread is recommended. Applications: Middleweight bonded nylon thread for leather, vinyl, canvas, lightweight upholstery and drapes.